It's officially fall. I've a reasonably large collection of fall themed quilt decorations but there is always room for one more. Introducing my Falling Maple Leaves quilt, which finished at 24'' square. The leaf blocks are all paper pieced and very fun to assemble. They are twisting about in a light breeze on the quilt top. 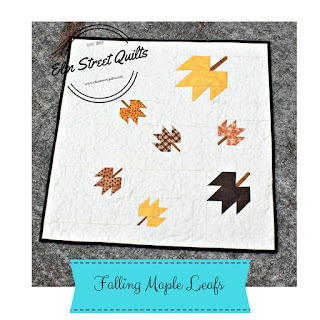 To quilt, I outlined the leaves and then did an all over stipple FMQ. Want to make one too? I've a pattern available in my pattern shop. I'll be linking up with Mini's and more parade with Sheri and Michelle. I'll also be linking up with Sew Cute Tuesdays, , Freemotion by the River, WIP Wednesday's, Let's Bee Social, Midweek Makers. Fabric Frenzy Friday, Finish it Up Friday and Finished or Not Friday. It's so pretty! I love the use of negative space! This is so beautiful! I love the look of just a few leaves. That is really pretty! Fall is definitely in the air! Such a perfect fall quilt. I can see using it as a topper. Thanks for sharing. 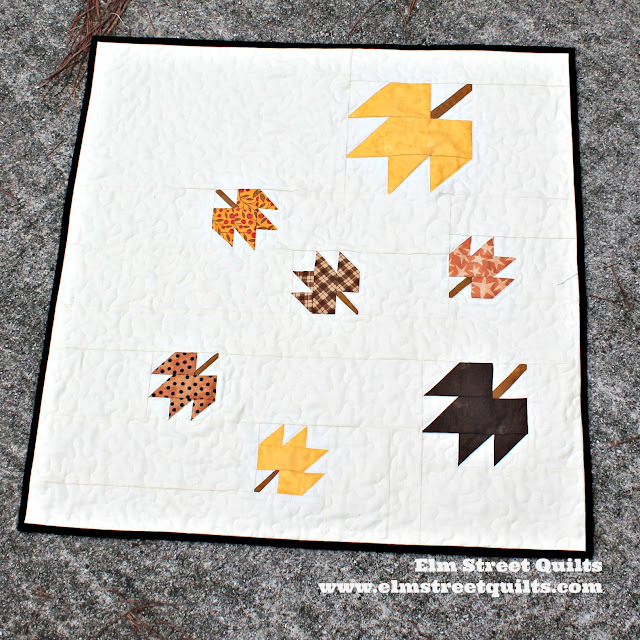 Your fall quilt is really pretty! 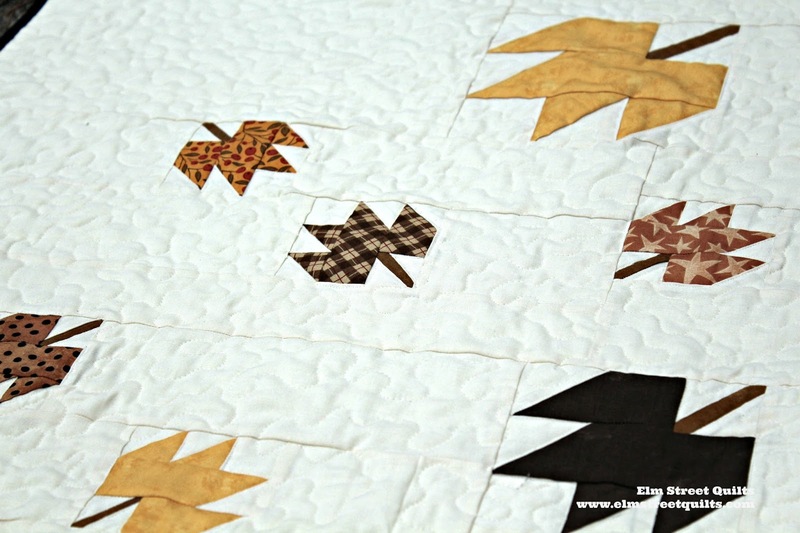 Such an elegant fall mini quilt, it's really pretty.